This entry was posted in Stocks and tagged breakout, Encana on August 21, 2016 by Trader. 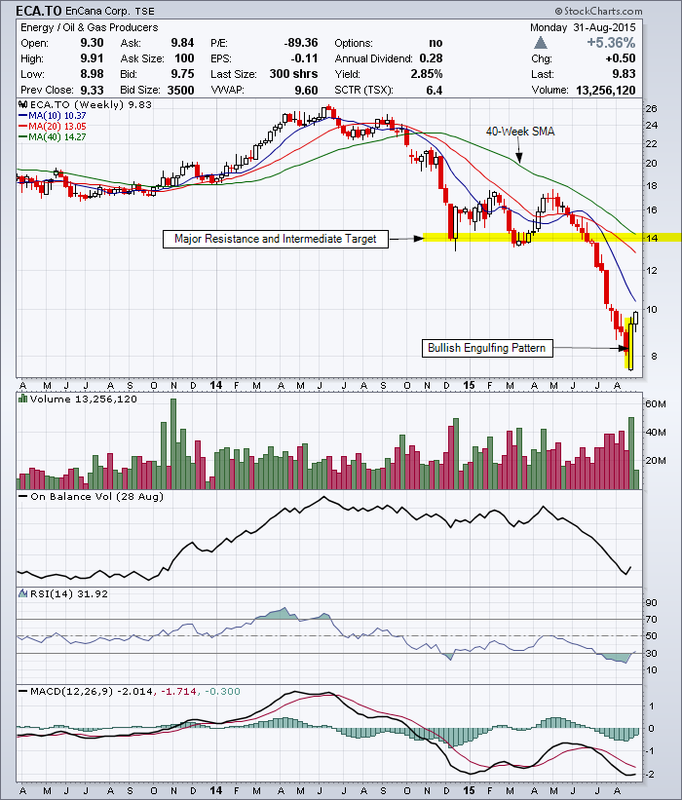 Encana: Major downtrend but maybe a bottom? This entry was posted in Stocks and tagged Bullish Engulfing Pattern, Canadian, Encana on August 31, 2015 by Trader. 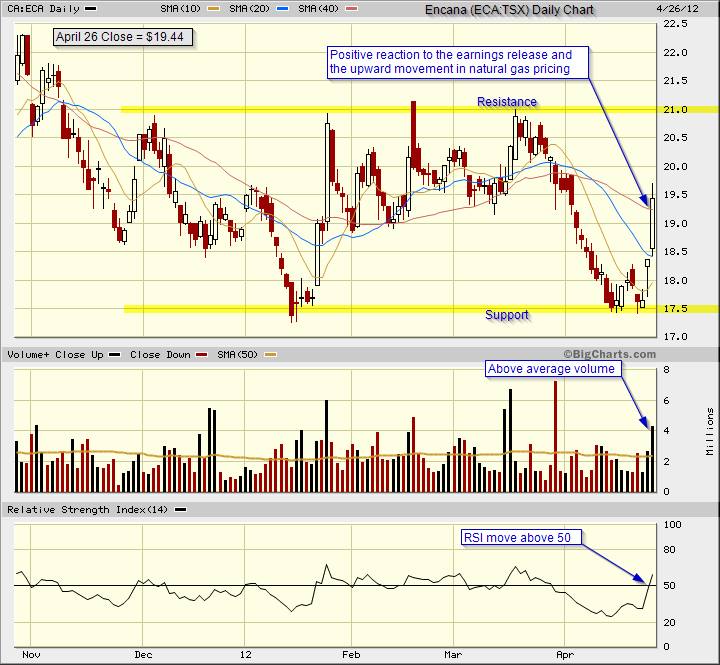 Support level and buying opportunity for Encana? Visit the Encana website to review the fundamentals for this company. 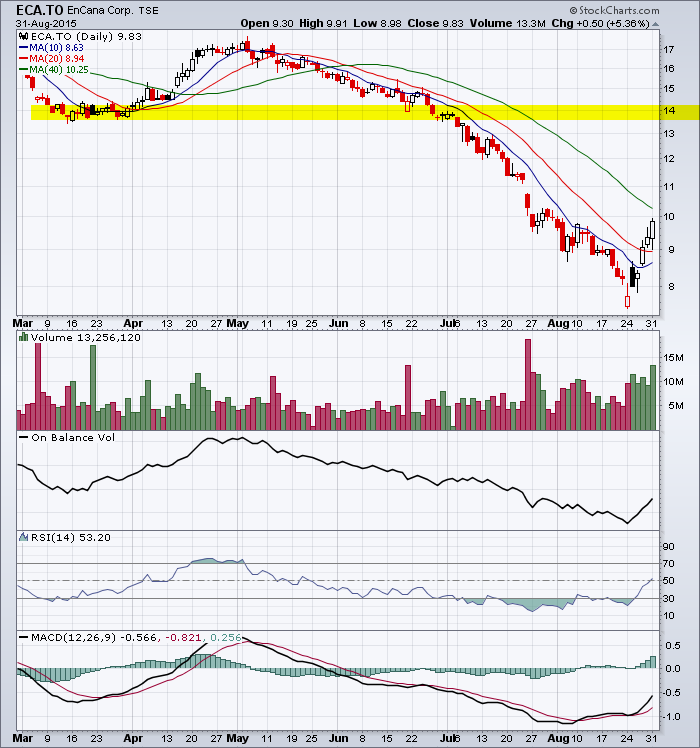 This entry was posted in Stocks and tagged chart, Encana on July 21, 2014 by Trader. The reaction of the stock price to a news event, which includes earnings releases, is all that counts. You take your cue from this market signal and trade accordingly. The intermediate trend is sideways and the near-term trend is up. The key support and resistance levels are identified on the above chart. Technical analysis is all about evaluating the probabilities and there is a high probability that Encana has found a bottom around $17.50. A confirmed break above the $21.00 to $22.00 level would indicate an intermediate target price of $28.00. My definition of a confirmed break in this case would be $22.66 that holds for at least two days. Reference the Encana website to review the fundamental data for the company. 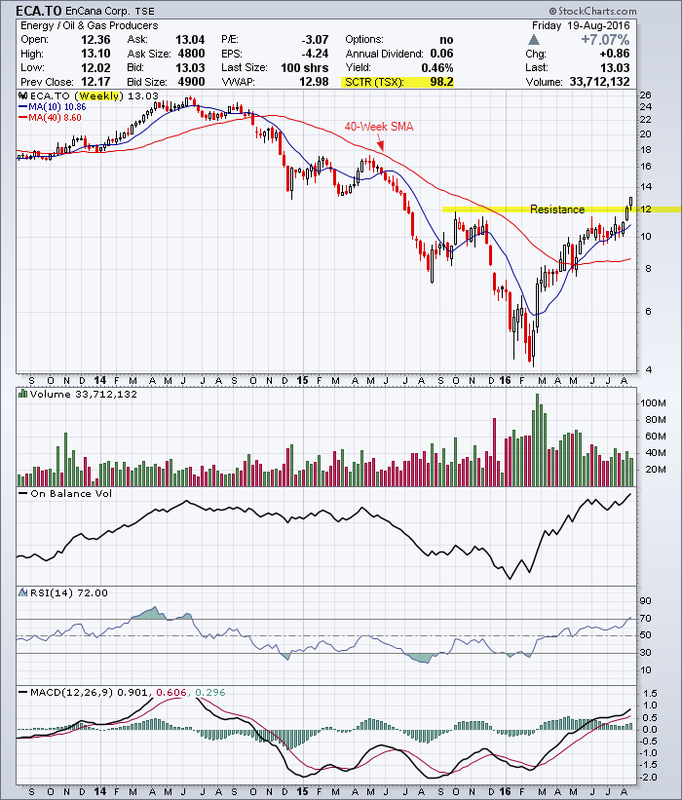 Reference my last chart analysis for Encana on March 18, 2011. This entry was posted in Stocks and tagged candlestick chart, Encana on April 26, 2012 by Trader.